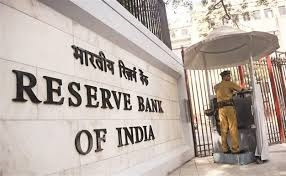 Applications are invited for recruitment Reserve Bank of India (RBI), Recruitment Nov 2018 for Security Guard Posts Apply Now, Reserve Bank of India, Ahmedabad has invited application from Eligible candidates to fill up 270 posts of Security Guards..
Age limit – 25 Years as on 01 Jan 2018. Selection Process – Selection will be based on Written Examination or Interview. Candidates will be shortlisted on the basis of marks in Online Test. The shortlisted candidates will have to appear for a Physical test which will be of qualifying in nature. From the candidates who qualify in the physical test, a merit list based on the marks scored in the online test shall be prepared. These provisionally shortlisted candidates will have to successfully complete document verification, biometric verification, and any other procedure as may be decided by the Bank. They will also have to undergo the pre-recruitment medical test. Final selection will be done based on all these mandatory procedures.. Apply soon – Apply online job seekers in Reserve Bank of India today. As you all know, in the Reserve Bank of India, online applications are coming from time to time to recruit many posts in which applications are being made by a large number of people. 1. Out of the above three papers, Test of Reasoning and Numerical Ability will be in bilingual, i.e. English and Hindi. ii. There will be negative marking for the wrong answer and 1/4th mark will be deducted for each wrong answer. iii. Candidates will have to pass with a minimum prescribed mark in each subject.